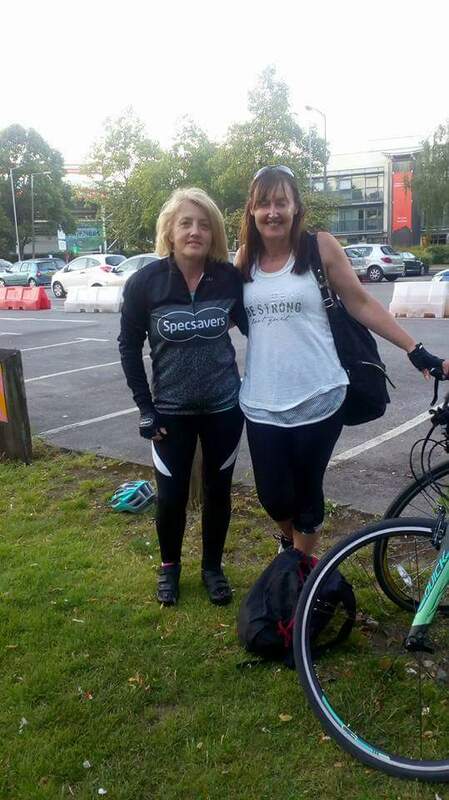 Set Fitness Goals Then Smash Them – Like Carol! Our Autumn Challenge starts tomorrow (1st October) with 20 people using Day 1 as a starting point to becoming better versions of themselves. 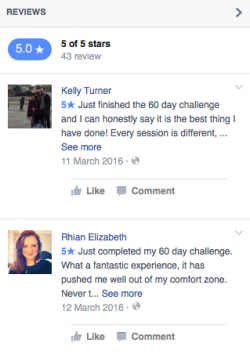 Completing the 60 Day Challenge is never easy, statistics show that not all will make it to the end, however those that do will no doubt feel a huge sense of accomplishment and will also have some pretty impressive stats to back up their progress. We don’t want the challenge to be a quick fix. We want people to take new habits and incorporate them into their daily routine for the rest of their lives. We’ve had many success stories along the way since we started out but we want to share one person’s journey with you, to help inspire the guys who are starting out tomorrow. Over a year ago Carol took her first steps on the beach at Machynys Bay and what she’s achieved since then is nothing short of remarkable. 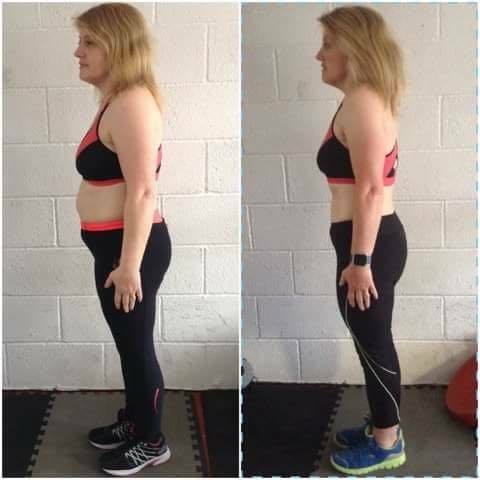 “I was invited to go to a close family friends wedding but I hated having my picture taken, so I decided to try and lose weight. I lost 2 stone and felt a bit better having my photo taken. 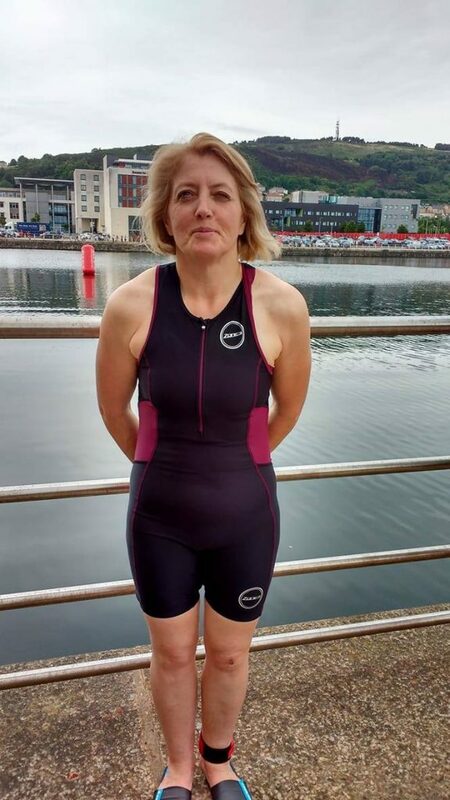 I was 48 years old and I decided I didn’t just want to lose weight but wanted to get fitter too. Both my parents had really bad health in older age, so I wanted to try and be healthier and fitter as I got older myself. My aim was to be fit at 50. 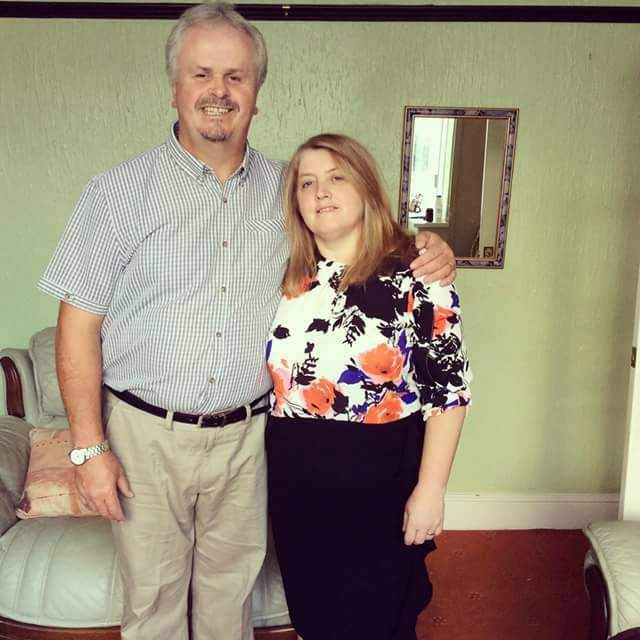 This was taken at the start of my weight loss journey on 12th Aug 2014. It was our 25th Wedding Anniversary! When the Llanelli Beach Bootcamp FB page came up on my news feed, I decided to give it a try and I haven’t looked back since. It’s been one of my best decisions I’ve made. I knew this would be a lifestyle change for me. I realised that if I didn’t continue with it, I would relapse into bad ways. Even when I broke my arm I still continued with Bootcamp as Becky said you can adapt any thing to accommodate. There are no excuses. Another thing I remember Becky saying is when you find something hard to persevere and your weaknesses will become your strengths”. 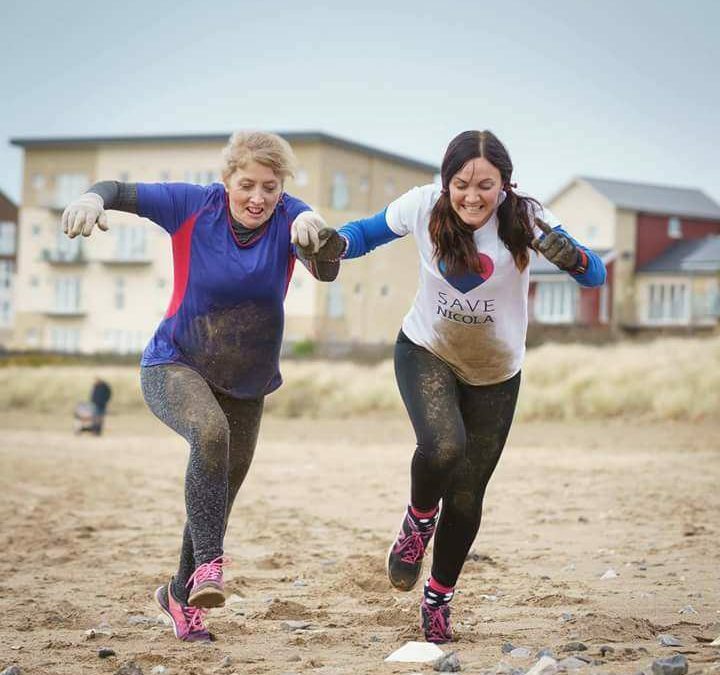 “Llanelli Beach Bootcamp has honestly been the greatest support ever. I’m not an outgoing person and have had a lot of anxiety issues in the past. I remember my first bootcamp session, I came on my own, not knowing anyone and was totally outside of my comfort zone. I had already started back swimming and at this point I’d lost 3 stone. My family thought I was mad. I had a wonderful welcome and then the bombshell – we had to partner up and I thought that nobody would want to partner with me. Initially it brought back bad memories from school. Immediately Chris Cottrell came up to me and asked to be my partner. My husband, Mark, then joined Bootcamp a month later followed by my daughter, Naomi. 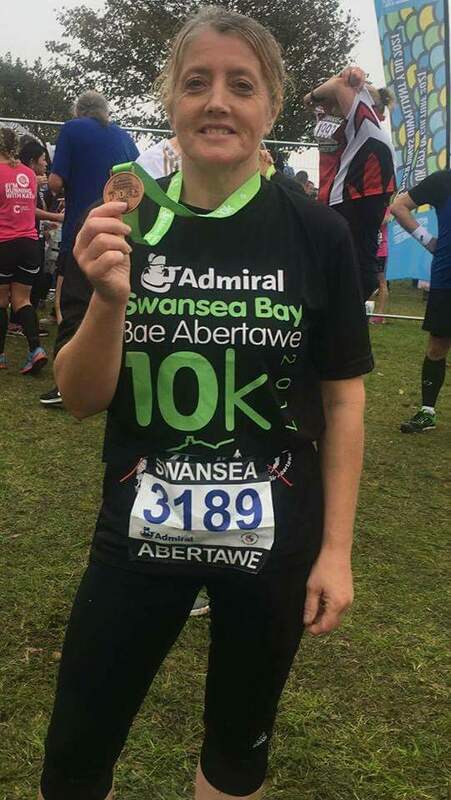 Since joining Bootcamp Carol has gone on to complete the Swansea Triathlon, Beach Bootcamp Burpee Mile, 7 mile Kilvey Hill run, Neath Valley triathlon, The Gauntlet Games, Cardiff to Swansea night bike ride, 2 x Swansea Bay 10k (15 min pb on this) and numerous iNVNCBL races all on top of her regular bootcamp sessions – a quite incredible feat! 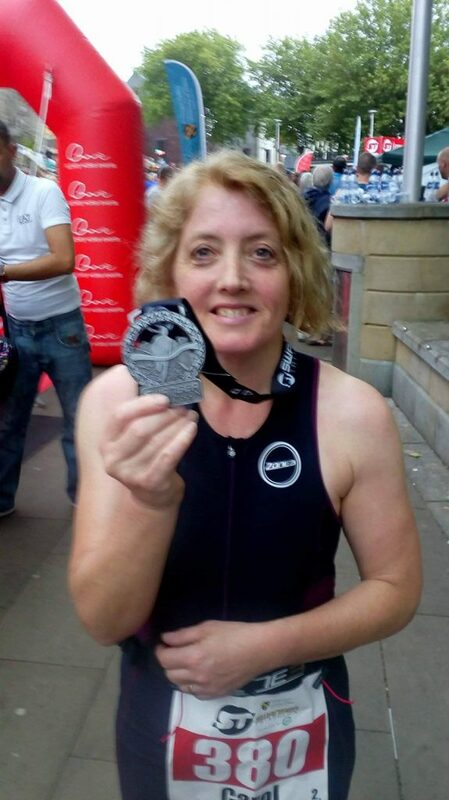 We are so proud of Carol and what she’s achieved and we hope her story can help push the guys starting out tomorrow… set goals then smash them!